Hygiene solutions from Nieros are the best answer when it comes to health safety because hygiene standards are non-negotiable. Company started as a small local plant in 1773 and today they are global hygiene equipment manufacturers. They produce stainless-steel products for various industrial facilities. They provide clients with high tech technologies and complete customer service and support as well. Nieros offers custom made solutions which effectively address challenges of their business partners. They also help them meet highest quality standards and also contribute to their time and cost optimization with understanding customer needs and industries they operate in. Nieros hygiene solutions are suitable for all production areas where risk of contamination is present, especially in food processing industry. Nieros provides a wide range of sanitation solutions which can be fully customized because they are made in the house. Covering the sanitary needs in every production stage, Nieros hygiene technologies minimize food contamination risk and meet highest sanitation standards such as HACCP, NSF and IFS. From economic point of view, Nieros technologies are cost effective because of optimal detergent and water consumption and because of efficient energy use. All products are made of high-quality materials and follow all EU standards, they also comply with highest quality requirements. They are made of high-quality stainless steel; therefore, they can be thoroughly and easily cleaned. Their design prevents any water stagnation which could result in growth of legionella. Nieros products offer many options of customization: many add–on units which can be combined with basic versions of products, adjustment to different electric power distributers, connection to personal card readers and to centralised chemical supply, built in versions. 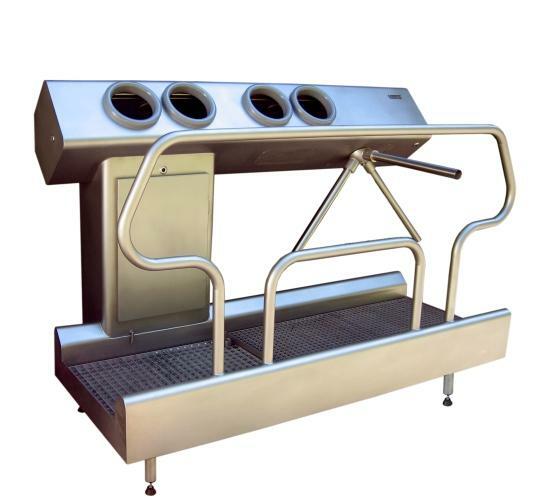 They are hygiene equipment suppliers which completely adjust to customer needs and requirements. Hygiene solutions that Nieros provides for use in various industries are: hygiene stations, footwear cleaning, hand cleaning, equipment cleaning, boot dryers, changing room equipment and low-pressure cleaning systems. Hygiene stations guarantee optimal personnel sanitation at the production entry and exit points. Stations are easy to use, highly efficient, quick to proceed and cost-effective. All these characteristics make them a valuable asset for ever company that pursuits highest sanitation standards. 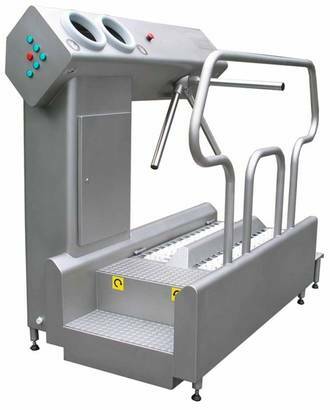 This industrial hygiene equipment is used for efficient hand and footwear cleaning. Nieros also offers footwear cleaning solutions, which are machines that guarantee optimal results. Their features are: hygienic design with smooth surface finish which is easy to clean, easy to change horizontal or vertical brushes without use of any tools, automatic dosage of sanitizer for economic use and height adjustability. Hand cleaning solutions guarantee optimal hand sanitization of the personnel on entry points of production areas. To prevent products contamination and to meet highest sanitation standards such as HACCP, NSF and IFS, efficient hand washing and disinfection has to be done. Nieros hand hygiene technologies are designed to direct the personnel for proper yet economical use to prevent insufficient hand cleaning. starts with soaping which is followed by thorough rinsing under running water. After drying, disinfection takes place in order to destroy hand germs and bacteria. Nieros hand cleaning technologies ensure that entire process is managed in a way to direct personnel to follow all necessary steps. For additional control, turnstile passage ensures that it is only possible to enter production areas with properly cleaned hands. Hand cleaning stations have hygienic design with smooth surface which ca be thoroughly cleaned, automated dosage of hand soap and disinfection agent for efficient yet economic use, nozzles for sanitizer which are made of stainless steel, rubber edge protector in illuminated sanitation chamber and turnstile made of stainless steel.